← December comes but once a year and it’s already here! 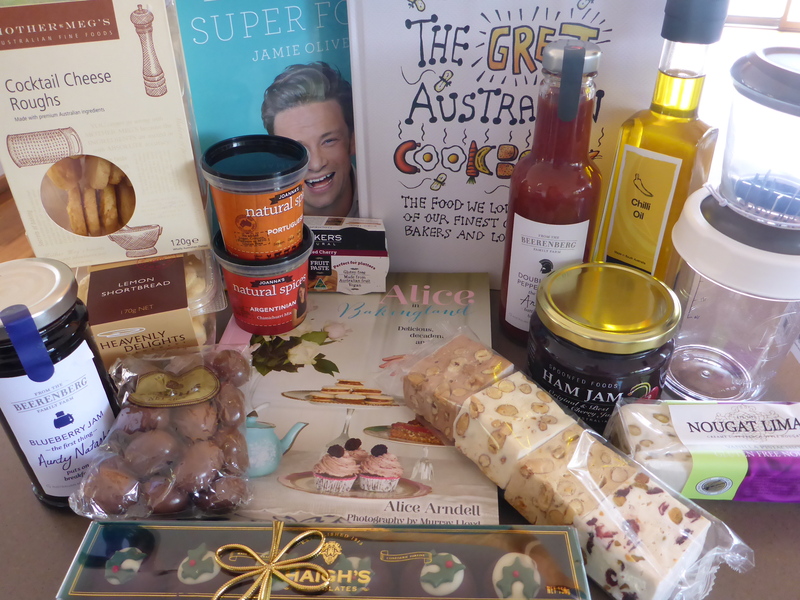 All those wonderful foodie presents! Anyone would think I like food! I got three cookbooks for Christmas along with ham jam, blueberry jam, fruit paste, cheese biscuits, chilli oil, double shot pepper sauce, spices, shortbread, nougat and chocolate. Oh and I must not forget my new nut chopper, some beer and some wine… I think I am now set for a great year and ready to get cooking, writing and sharing again. But before I get started, I would like to say I hope everyone had a wonderful holiday season and whether you cooked, entertained, travelled or just relaxed, I hope you did it with a smile on your face. I know I did. 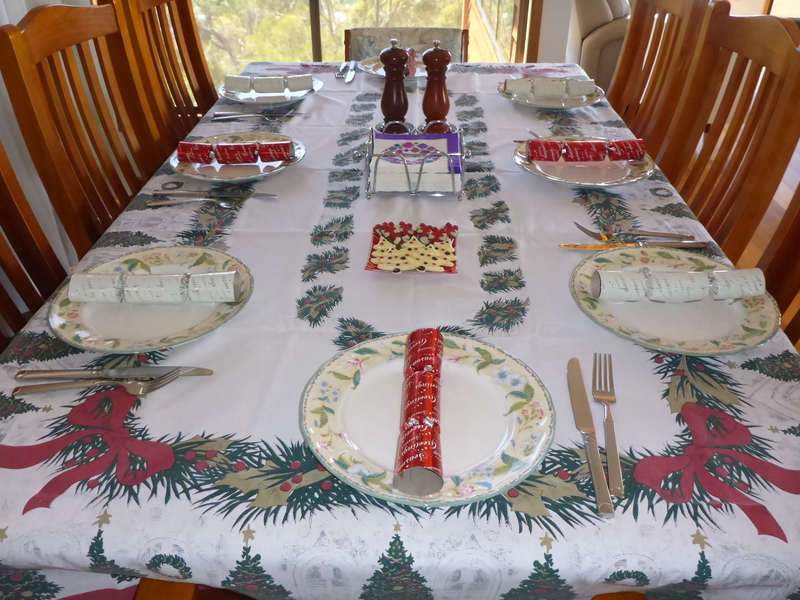 In 2015 I was so excited and looking forward to Christmas, it was going to be the first time since we moved to Tasmania that we were having a family Christmas right here in our home and I was going to be the host. Loving it! The table is set and we are ready! I was ready and excited but I was also a bit sad as I found out that my dear mother was not going to make it over for the Christmas holidays. My mother is the one who always entertained in our household. She was the cook and the carer and she loved it. I suppose that is where I get it from. But I was looking forward to seeing her sit back and relax a little bit, let someone else do the hard work and look after her for a change. That didn’t happen in 2015 but you can be sure I will make it happen in 2016…. I’m already planning! Luckily my sister, brother-in-law and niece did make it over and as always in our family we had a few ring-ins on the day. 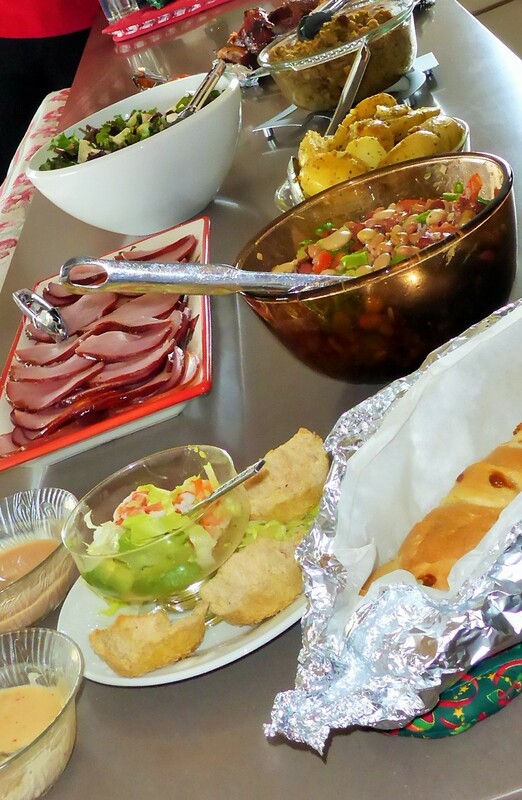 My dear friend Christine and our neighbours all joined us for a Christmas celebration that was full of fun and laughter, food, wine, beer and cider and lots of talking..
A few of the many dishes set out for Christmas day. I feel so fortunate to have a fun and loving family and friends who join in, bring their wonderful food and treats with them to share with us and don’t mind our crazy, fun, silly non traditional family (and friends) Christmas celebrations! Life is good and I’m ready to bring in the new year with more stories, more recipes, more hints and tips and more travel news. I hope you will continue to come along for the ride and make sure you let all your friends know as well. It will be fun, it will be tasty and hopefully it will be an experience. Keep smiling, eating and travelling! This entry was posted in Home, My life in words!, Stories of my life, travels and Tasmania and tagged 2015, 2016, Christmas, Family, Friends, New Year, Presents, Sharing. Bookmark the permalink. 2 Responses to Anyone would think I like food!!! It was so much fun spending Christmas is Tassie with you! And the food was especially good. I really hope I can come visit you again soon! We would love you to come spend some more time with us. Glad you had a great time and enjoyed everything. See you soon, I hope!